As you will be aware Canon James O’Connell died last Thursday in Inverclyde Royal Hospital, fortified by Rites of Holy Mother Church. I was saddened to hear of his death, but entrust this fine and faithful Priest to the mercy of God our loving Father. He celebrated his ninetieth birthday in June, and was a priest for over sixty-six years. 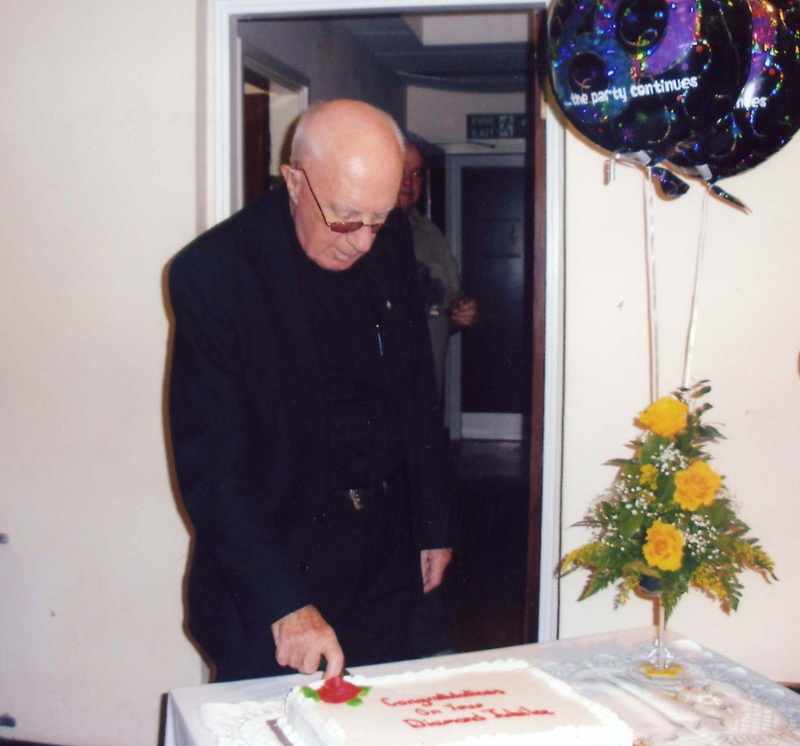 During those years Jock proved an outstanding priest, of open heart and open house. He was a ‘priests’ priest’ who, off his own bat, took on a ministry of open table at his presbytery, inviting all the priests of the locality weekly, to make sure no-one was left alone or un-provided. He was a ‘man of the people’ and, even though he was admired as a traditional priest with warm devotion to Our Lady, he was ahead of his time in successfully advancing lay involvement in the Church and entrusting to them real responsibility. He was also a ‘man’s man’ who loved the outdoors –shooting especially – and the camaraderie it brought him with many not of the faith who got to love him as a dear friend and good man. Bishops entrusted their newly ordained priests to Jock, knowing that under his kind and wise care, they would be well-set for their priestly life. May God reward him in His mercy with a place at the open Banquet of Paradise. I am sure you will join with me in thanking the Little Sisters of the Poor and all the staff at the Holy Rosary Residence for their exemplary care of Jim. They say the definition of wonderful is to inspire and to be admired. I could not think of anyone better to fit this description than Canon James O'Connell. He was a truly lovely man. I have fond memories of him visiting my class in primary school. He had a magical and unique way of engaging young children with the catholic faith. He would often pretend to us that it was Easter when it was in fact Christmas and vice versa. This sparked a great deal of interest for a young child. We would debate with him that it was Christmas and not Easter, and in doing this he not only made us laugh but he taught us about the true significance of these events. For me personally, Canon O'Connell was one of the great inspirations for the strong faith I have today. He taught me as a child that you should always be proud of your faith. Canon O'Connell inspired so many young minds and he was admired by us all. He will be so greatly missed but I will always remember the witty and cheerful priest who put a smile on every single one of our faces. Following the news of Canon O'Connell's passing, many Parishioners, old and new, shared their thoughts and memories of the Canon on the Parish facebook page. Click on the comments for each of the posts below to see a selection of them. Post by Saint John the Evangelist Parish, Barrhead.